Update at 11:53 pm ET, August 12: Sadly, skeletal remains found in a ravine in the Malibu, Calif., area have been identified as those of Mitrice Richardson. According to NBC Los Angeles, her father, Michael Richardson, said, "This book is not closed. More chapters need to be written. We are going to hold people accountable. I will continue to fight for her." 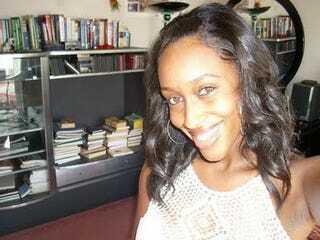 Police believe they have recovered the remains of Cal State Fullerton grad Mitrice Richardson in Malibu Canyon. Richardson, 25, has been missing since September 2009, when she was released from police custody in a remote area without car keys, a wallet or cell phone. Richardson, who is believed to have been bipolar, was arrested for failing to pay an $89 tab at a Malibu restaurant. Witnesses said she had been acting strangely. Police booked and released her at a sub station in a remote location. She has not been seen since. I hope the police officer who put a troubled young girl out at night in a remote area with no car keys, cell phone or wallet can sleep at night, because we can't. Someone's life for $89. Horrified and disgusted over here at The Root. Read more at BV Blackspin.